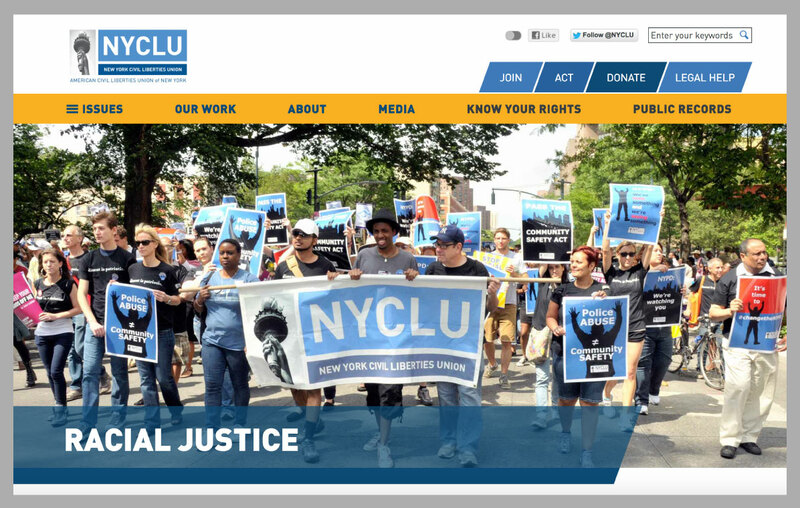 For almost 100 years, the American Civil Liberties Union has worked to defend and preserve the individual rights and liberties guaranteed by the Constitution and laws of the United States. The ACLU protects Americans’ freedom through a network of offices in every state, Washington, D.C., and Puerto Rico. 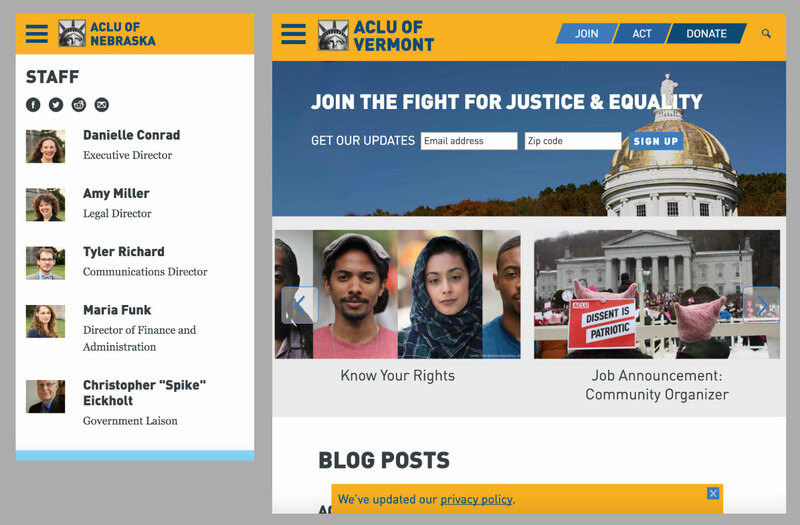 50+ ACLU statue affiliates were all previously supporting separate websites with divergent branding. Each affiliate had separate web teams that were duplicating efforts. The sum of the parts was less than the whole. 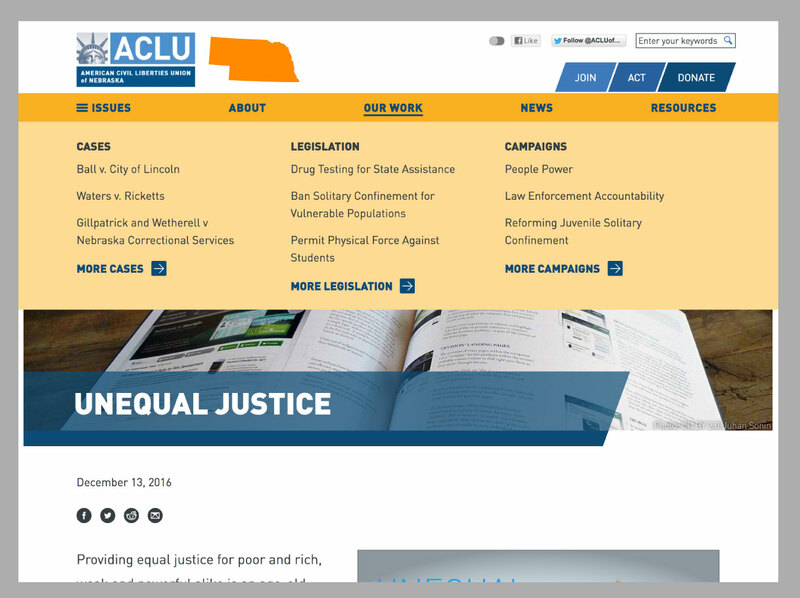 After Advomatic built the new site for ACLU National, they came to us looking for a solution. An affiliate would ideally be able to start with a website template that they could customize to their needs, while still being able to share improvements with the other affiliates. 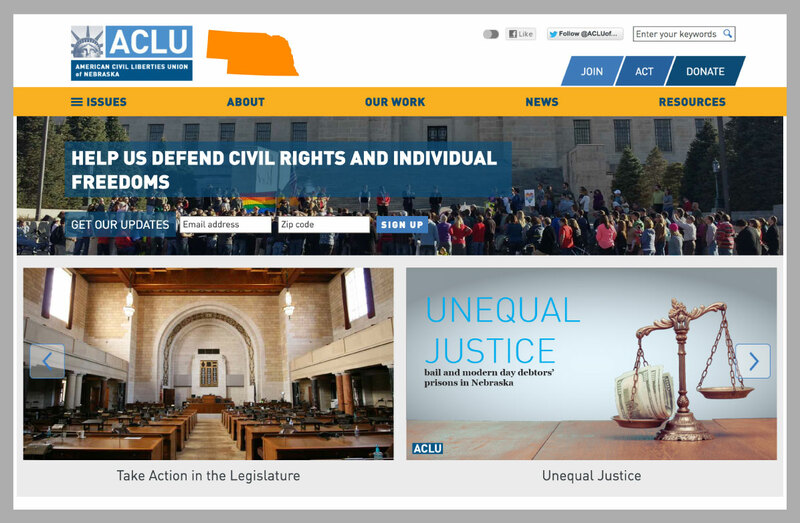 Unified branding, with an eye-catching design inspired by the ACLU National website. Multilingual content. Many affiliates do advocacy in and for the Hispanic community. These websites need to be able to translate any content into Spanish. Some affiliates even have all-Spanish websites, so the platform needs to be fully translatable. Migration. Some affiliates had web content going back almost 20 years, on a wide range of CMSes (including Drupal, WordPress, and static sites). There is a system for affiliates to migrate their legacy content from any of these systems. Flexibility. While any website needs flexibility (will there be 5 upcoming events, or none? ), this is a whole new level. What if the affiliate doesn’t have events, publications, campaigns, or chapters? The site needs to be able to accommodate this, without having big gaps. This is especially challenging with the main menu. Customizability. Some of the affiliates are substantial organizations whose legacy websites were large and very tailored to their needs. The new affiliates platform needed to allow these larger affiliates to make substantial customizations to the system. At the same time, this flexibility should not make it more difficult to manage the more straightforward affiliates. This is accomplished by leveraging Pantheon’s custom upstreams. Content Syndication. 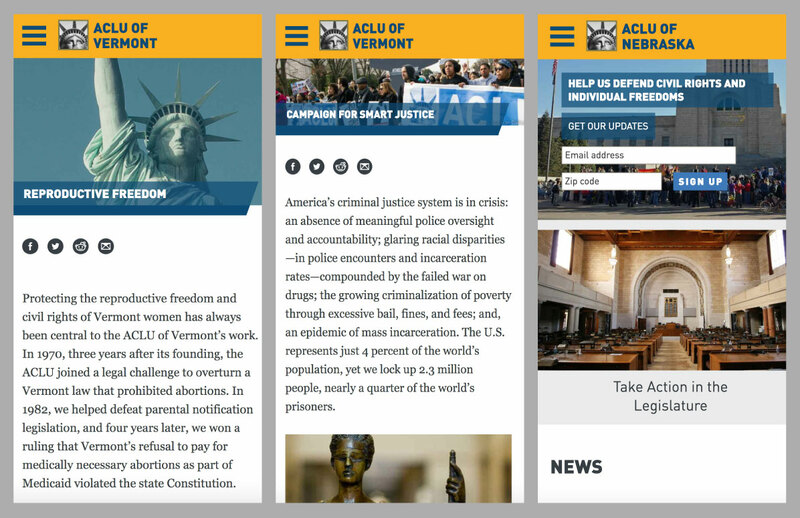 The ACLU wanted to give the affiliates the ability to keep their sites fresh by pulling in select news posts and actions from the National site. We built this feature as a mini-improvement project about six months after the first affiliates went live. 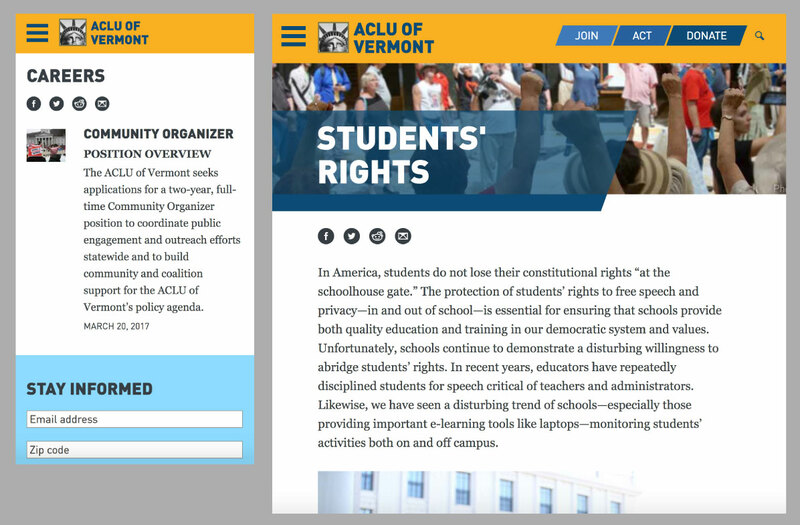 We continue to work with the ACLU on regular improvements to the platform, responding to the latest needs of affiliates advocating on the web. We’ve done mini improvement projects about every six months to bring significant new features to the platform, interspersed with ongoing support for fixing small bugs and other minor improvements.